Astrology Year 2013-2014 Ends Tomorrow: How Has Your Year Gone? You are here: Home / Astrology / Astrology Year 2013-2014 Ends Tomorrow: How Has Your Year Gone? Since February 18, the Sun has been moving through dreamy Pisces. Today is the final full day of its journey through this introspective, spiritual sign, for tomorrow the Sun moves into brash Aries at 11:58 a.m. CDT (4:58 p.m. Greenwich time). With the Sun’s entry into Aries, we will see the end of astrology year 2013-2014. We also will experience a special power time because this event coincides with the equinox, when day and night are of equal duration. Like the September equinox and the two solstices each year, this date represents one of the four cardinal points of the year, when energies for taking action and starting something new are higher than normal. Of these four power days, the start of Aries time brings perhaps the most potent energies because this sign begins not only a new astrological month and a new season but a brand new astrological and spiritual year. So today we stand at the crossroads between two spiritual and astrological years. On this final full day of Pisces, set aside time for spirituality and reflection. How has your year gone? What have you accomplished, and how have you changed? Have the past 12 months lived up to your expectations? Have you made any of your dearest dreams come true? Take a few moments to honor yourself and the year that is ending and to celebrate all you have learned, become, and experienced. What Are You Dreaming About for the Coming Year? Then, consider your hopes and dreams for the coming spiritual year. How can you make the most of tomorrow’s powerful Aries energies, which will support beginnings of all kinds, on all planes? Give yourself time to dare your highest dreams, and then write down the one that most excites and inspires you. See yourself taking steps toward making your dream a reality and imagine yourself living your life as if it has come true. As you imagine your future, take a few moments to enjoy the Pisces-related artwork shown here. Art offers a beautiful, powerful way to tap into astrology and prevailing planetary energies. 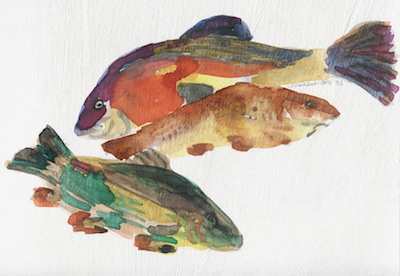 No matter what your Sun sign is, you can benefit from looking at Pisces-related art right now in order to attune with the current dreamy, inspiring energies on this last day of the Sun’s time in the sign of the Fish. 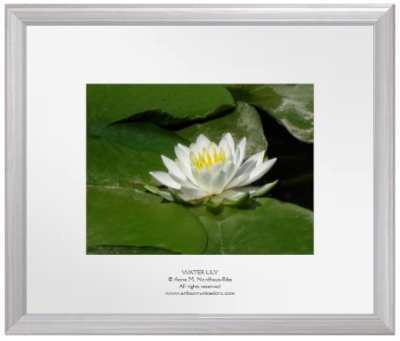 Simply gazing at Pisces art will help you flow with this sign’s natural energies and turn inward for reflection and meditation. 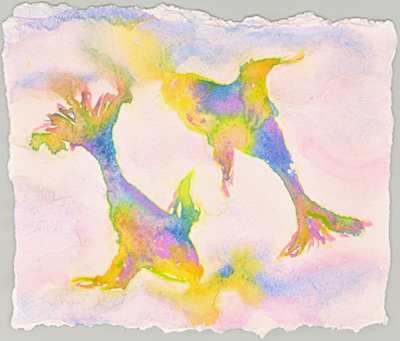 So enjoy the Pisces watercolor above. 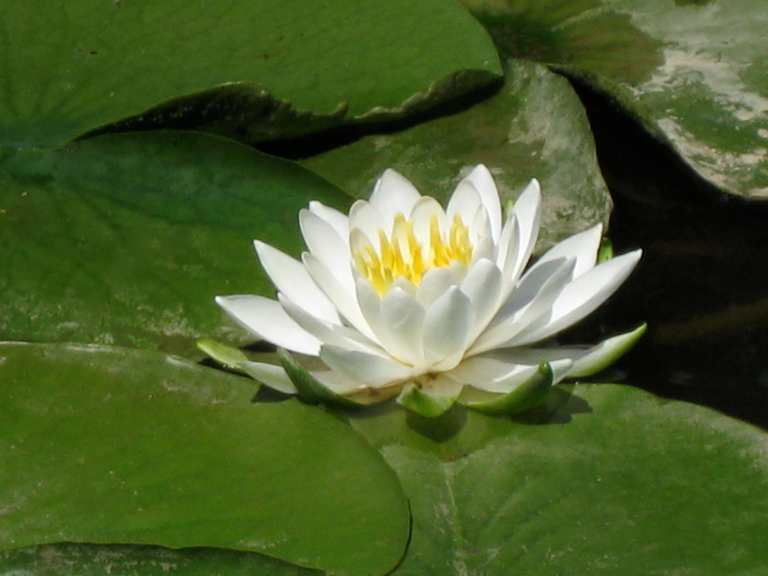 Also, allow yourself to enjoy and attune with the Water Lily photograph and Three Fish painting here. 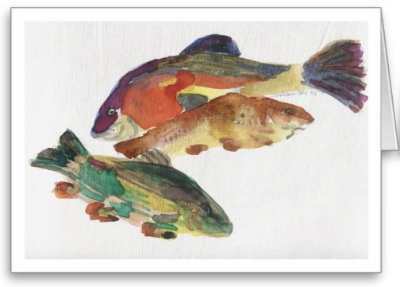 Chosen specifically to harmonize with Pisces, these artworks take you beyond traditional zodiac images to help you tap the sign of the Fish through its element, colors, and season as well as its mystical and spiritual themes. In the next several hours, may your reflections on the year that is ending bring you many insights and much pleasure at what you have experienced over the past 12 months. And may the images here help you beautifully bridge this old year that is ending with the new year just about to begin.